Everyone knows I’m a sucker for baby animals. But what you may not know is that my favorite of all the baby animals is baby elephants. They’re just perfect. In fact, I strongly believe they are the most adorable baby animals in the world. Let me make my case. 1.) They’re kind of lazy… in the best way possible. 2.) They like to play with their friends. 3.) They love bath time. 4.) They (probably) want the Crew to stay in Columbus. Baby elephants are excited for the World Cup! 5.) Finally, they like to snuggle. Now that you get why they’re so perfect, you can officially get hyped for the big news. The Columbus Zoo and Aquarium has announced that a new baby will be joining the herd at the zoo! Soon-to-be-mom Phoebe is expected to give birth this December. 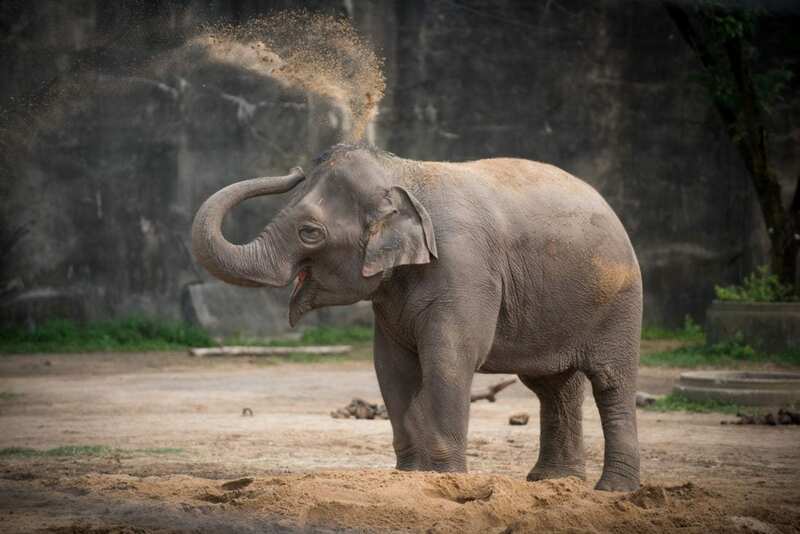 The new babe will be the fourth elephant born at the Columbus Zoo and the first in 10 years. You can bet that we’ll be on elephant watch as we await this little guy or gal! Until then, I’ll just be dreaming that I’m this lady.